There is something about me most of you probably don't know. Want to know? Five months ago I went to Disney World and Daytona Beach with my husband. While we had a great time, I was totally uncomfortable with myself. It hit me how much weight I had gained, and how out of shape I was in. Don't misunderstand me. Alex thought I looked beautiful (and he still does!). He never once complained or made me feel back about the extra pounds. But I felt bad...I felt bad about myself. And I wasn't living the life of loving yourself unconditionally that I have always tried to teach my boys. Literally the day we got home from vacation, I joined a gym. And I changed my eating habits. And I started running. I am an 'all or nothing' kinda girl and I knew I had to do this completely or else I would just make excuses. Later on I will tell you about the gym and my eating habits. Today I want to tell you about my running. Lordy, when I started, I could barely make the block. And I definitely wasn't fast. But little by little, I began to run further and further. Sadly, I haven't picked my pace up that much. I am slow. But the point is, I ran and ran. When it was hot, I ran. I ran in the rain. I made some new friends, and we ran together. I ran alone. Every week since the beginning of April I have ran. Most weeks, I run atleast 18 miles. To date, I have ran in a race every single month since April. 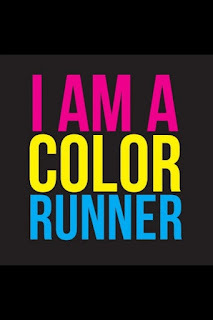 I run knowing that I won't win the race - but I run because I can. I can run 3.1 miles without stopping. That is something that I could not say before April. Since my life changing decision to start exercising and running, I had lost almost 30 pounds. And 18.5 inches. HELLO PEOPLE. That is a crap load of extra weight that is gone now. And for the fist time, in a very long time, I feel in control of me and my body. I feel like I am living up to my rule of loving myself unconditionally. 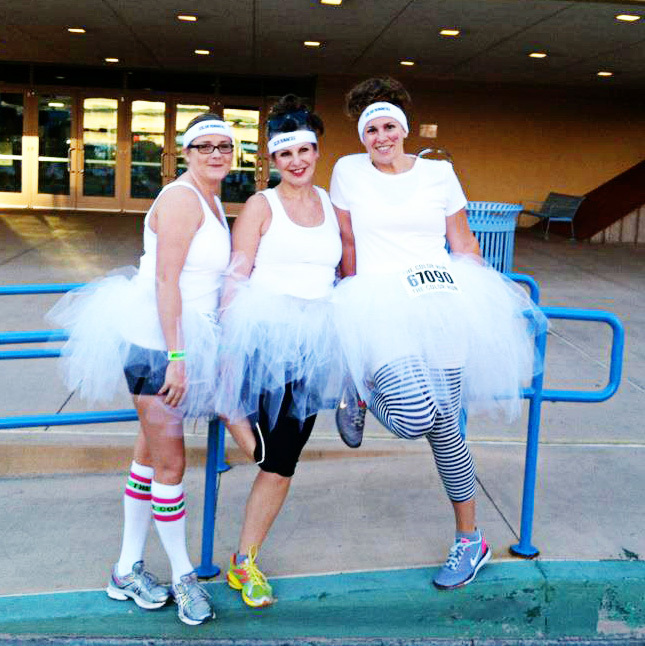 This past Saturday, two of my running partners and I headed to Albuquerque, NM to run in The Color Run. This race wasn't a timed race - and we ended up wagging (walk/jogging) because of the thousands of other runners - but this race was a goal of mine. 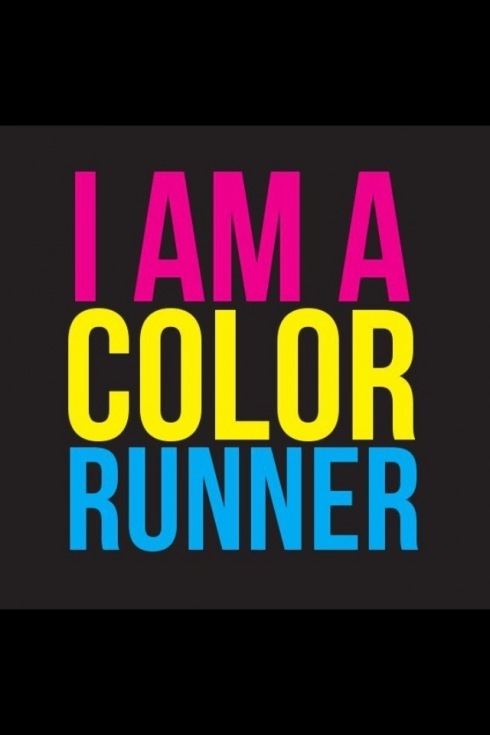 I ran this race because I could, and because running has become something I truly do love. I chose to spend the weekend running and I NEVER thought that would happen. Now, I still have some work to do. Mainly on my tummy. But I am not worried about it. I have conquered some big obstacles in the last 5 months. I know that I can flatten things out if I continue to watch what I eat and I make time to run and workout. But this weekend? It was worth all the sweat, all the miles. It was the happiest run on Earth for me. WOW girl that is just AWESOME i am so super proud of you. You are looking amazing, but i know what you mean, it is all about how you feel inside. well done on the run!! Wow! I wish I had the same motivation and will power you have! 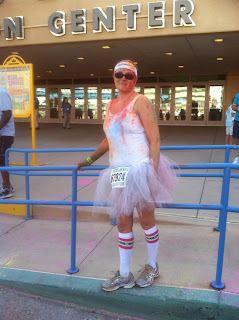 You look fantastic and that race looks like a whole lot of fun! Well done! 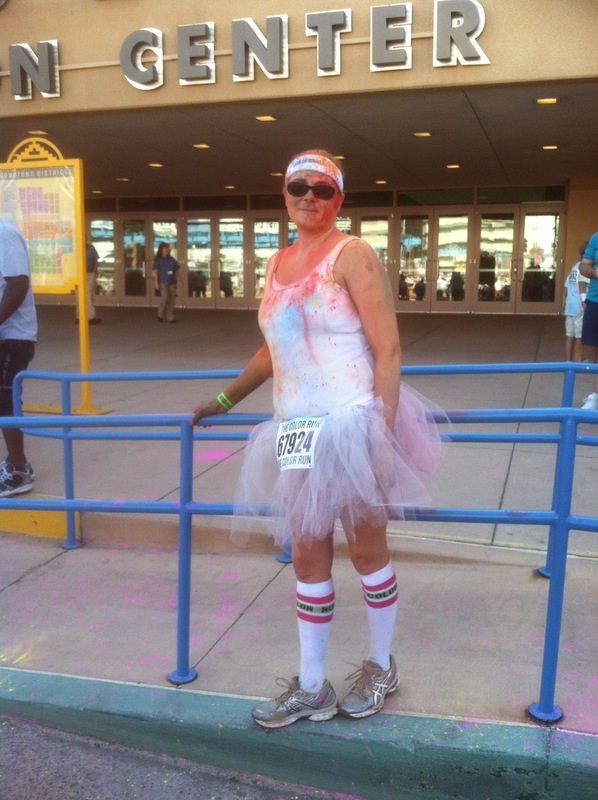 You are one motivated gal, and I love the color run pictures! 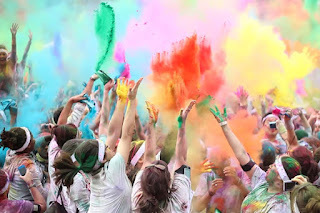 I'm dying to do one of those races. you are an inspiration. wow! look at you.